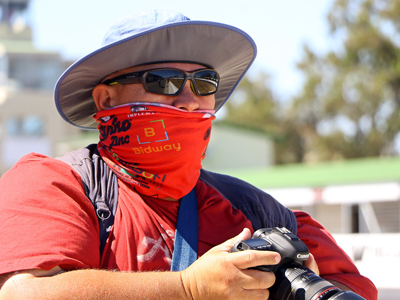 Heinrich has made quite a name for himself photographing powerboat racing; amongst other events providing coverage of the Trans Agulhas Challenge. Motorsport photography was merely a hobby that he felt passionate about and regularly worked at in the Western Cape. In 2013 he was granted an opportunity to apply for media accreditation. He quickly became a firm favourite in especially the karting community and had contributed to various projects for Wheels24 as well. Since 2017 he has taken over the position as photographer for the Western Cape GTi Challenge series. Following a one-off stint for RacePics.co.za, Heinrich has since joined the team in as one of the photographers based in the Western Cape. He is blessed with a natural talent for capturing the story behind the speed while consistently delivering a high-quality product.